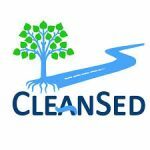 The CLEANSED project will demonstrate, evaluate and disseminate an innovative, integrated, multisector approach for the smart and sustainable management of polluted dredged river sediments. road construction: decontaminated sediments will be used as a filling material for the construction of roads. The whole cycle will take place within a real natural and productive district, i.e. the basin and alluvial plains of the Arno river, Italy. The HORTISED project aims at demonstrate the suitability of dredged remediated sediments as an alternative for the preparation of growing media in horticulture. The project will demonstrate the great potentials of sediment-based growing media through the growth of pomegranate and strawberry as representative plants at farm scale in Italy and Spain. The performance of the innovative growing media will be demonstrated by comparison with the typical production of the same fruits obtained with the use of the traditional peat-based growing media. The HORTISED project will also highlight the current legislative and cultural reasons for hindrance in the use of innovative growing substrates in horticulture and will produce guidelines for the safe and sustainable use of sediments as ingredients of horticultural growing media. The SEKRET project consists of different actions aimed at demonstrating that the innovative Electro- Kinetic Remediation (EKR) technology can effectively remove heavy metals from contaminated harbour dredged sediments from European ports. The innovative technology has been demonstrated in the Port of Livorno in order to prove the technical and financial feasibility of the project, as well as the environmental advantages compared to current management strategies (disposal in landfills and dumping at the open sea). The AGRISED project aims at demonstrate the suitability of dredged sediments used with no intervention or co-composted with green waste to produce innovative technosols for reclamation of degraded land and brownfields and innovative growing media for plant nursery. The main aim of the LIFE Biorest project is to decontaminate pollutes soils, restoring green areas useful for the city. LIFE BIOREST demonstrates the efficiency and effectiveness of an biological approach for soil remediation based on autochthonous bacteria and fungi. The overall objective of Sure project is to test and demonstrate how to restore the ecological status and hydro morphology of Malmfjärden Bay in Kalmar, Southeast of Sweden, by using an innovative dredging method that does not disturb the aquatic environment and consequently human health. 40 000 m3 of sediments will be removed and treated as secondary raw material within the circular economy concept. The project aims also to disseminate, transfer and replicate the project ideas and results within Sweden and Europe. The project aim is to increase sediment reuse for erosion and flood protection. Suricates will provide authorities, port and waterway managers and erosion experts with new large scale solutions for sediment reuse in NWE ports, waterways and coastlines.